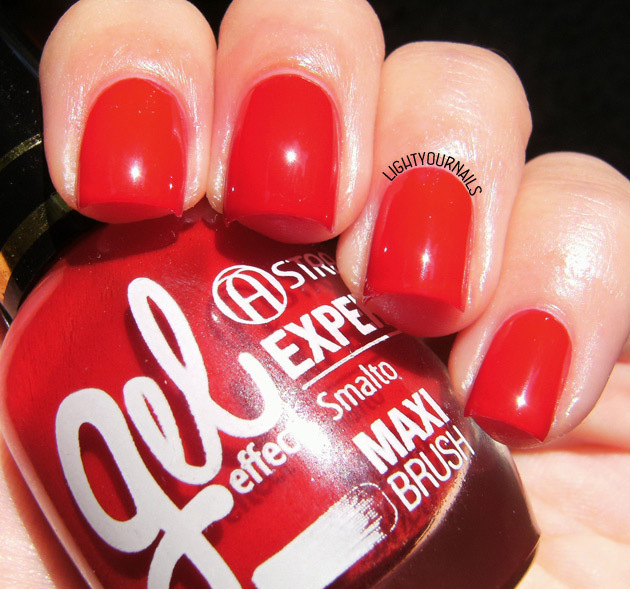 Astra Gel Expert n. 12 Rouge Passion | Light Your Nails! Sì è tanto :( Mi sembra che costino 2,50€ o 3,50€ qua! Quando vado in negozio ti dico di preciso! Thanks for commenting! Sorry I don't post links. I think I only have a Golden Rose creme and I have yet to wear it. It would be rather time to pull it off! lucidissimo ma io non sono da smalto rosso, fa troppo signora!! Mi ricordo che l'hai detto! Per me solo il rosso shimmer fa signora, o perlomeno io non me lo vedo addosso. Invece il rosso così mi piace da impazzire, è sexxxxy! What a perfect shade of red! This looks great on you! I actually don't own a red polish like this. Meh, all of mine either lean orange-y or have some sort of holo/shimmer/glitter. Whoops haha! Ah red holos! So gorgeous! On the other hand I just can't wear shimmery reds. What a lovely vibrant red! god I love a good plain red. There is something so infinitely classy about it! Classic red cremes are always so perfect, and this one is no exception! My favorite is Cirque Colors Doyers I think. I agree! I can think of at least 3 that I adore, odd enough they are all Italian brands. Maybe I just avoid buying more red cremes from abroad haha. I love red cremes so much! I love a good red creme!!! I have MANY so it's hard to narrow one down, ha! I can totally relate Dani!